Since the dishes have name as long as a train at Chefs Gallery, I am going to list it first and put the numbers as it appears in the menu. It will also make it easier if you want to try these dishes, just mention the numbers to them. We will start the New Year with one of the newest restaurants in town, Chef’s Gallery. One of the main attractions of the restaurant is the restaurant-wide see-thru kitchen. It really gave us a unique dining experience and a sense of security because we know what the chefs are doing to our food.Although there were quite a bit of options in the menu, they made it easy for us since they highlighted their signature dishes with a chef hat. We started off the night lightly with the sliced beef shin and guo tie. These two dishes were too ordinary for this wonderful looking restaurant. 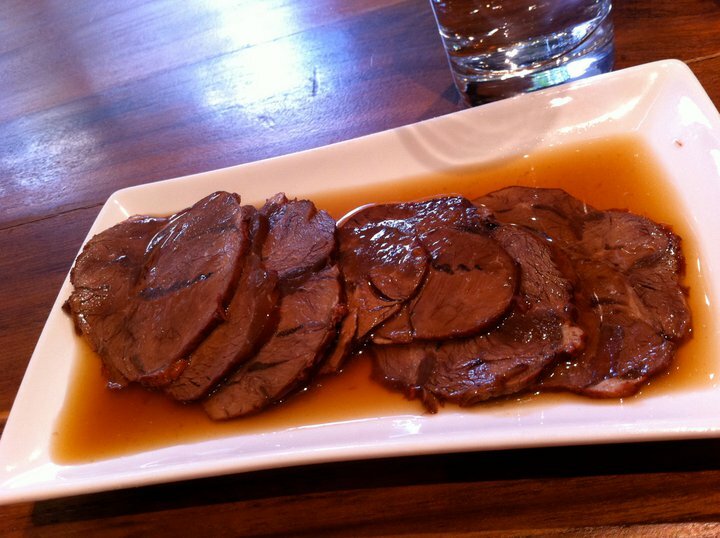 There was also accompanying vinegar for the dumpling to enhance its flavour. 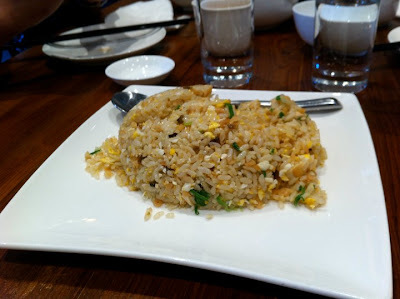 The next two served were completely the opposite.With its three egg types, the fried rice was rich in flavour and very savoury. However it was pretty expensive for its size. This is where the noodles compensated. 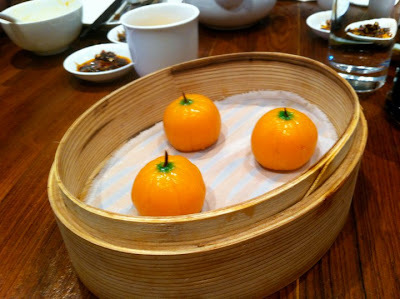 It had a decent size and its pumpkin / egg soup filled in the duty of tummy-filler. 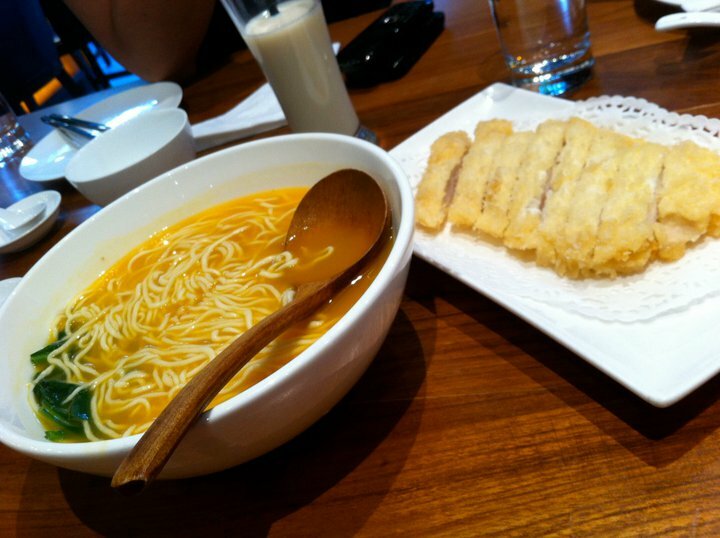 The noodles came with golden snowflake chicken aka chicken katsu. The mussels were quite bland and, again, had a very tiny portion. It was nowhere near the Belgian mussels. However, the last dish was a work of art. 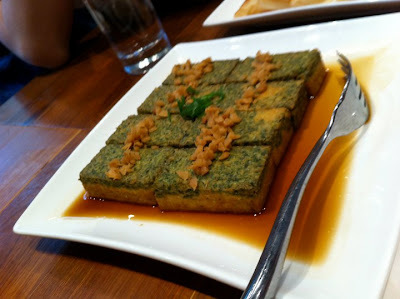 The egg tofu was so delicate and its unique combination with the vegetables I’ve never tasted before. The clear winner, however, was the dessert. 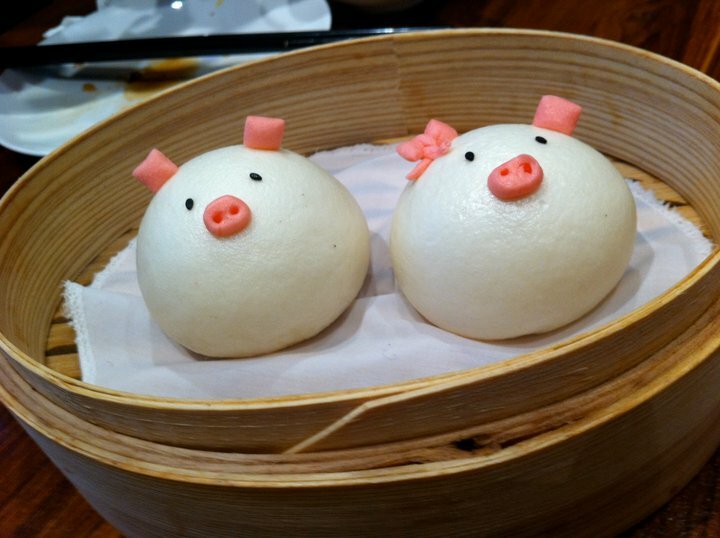 Nothing will make the ladies squeal like the ‘piggy face’ bun.The other dessert was also comparable to the bun. The ‘piggy face’ bun was definitely the dish of the day, although it was too cute to be eaten. The other dishes were also nice with few surprises here and there. It was worth coming back to Chef’s Gallery for seconds. Chef’s Gallery is one of the newest additions to Sydney’s culinary world. 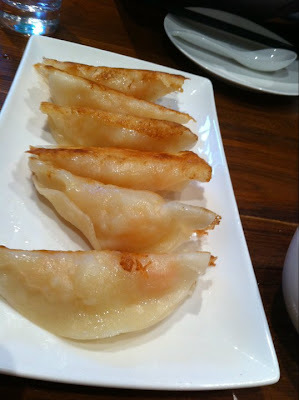 With similar concept to Din Tai Fung’s, it wins a contemporary edge over DTF. Taste wise both of them are clear losers when compared to the cheaper and fast Chinese food of Ashfield and Burwood. However, in terms of table service and hygiene, we know whom to pick. CG is not really that new as it opened early 2011. 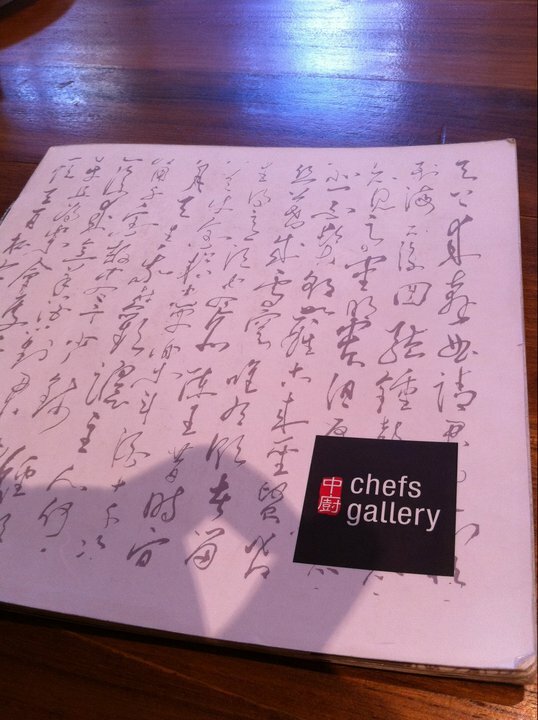 I visited Chef Gallery in January 2011. 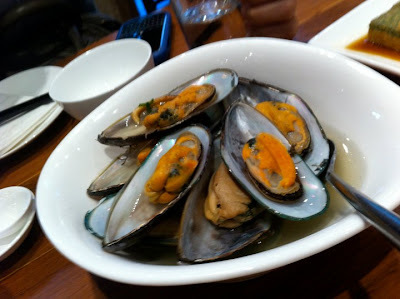 I have just recently put my posts in Urbanspoon, that’s why it all looked ‘new’.